The grand ballroom of Taj Palace, New Delhi turned into the holy grasslands of Vrindavan for Anju Modi's couture collection, ‘Sunheri Kothi’. Dim lights, folk music and models dressed in royal bridal couture dominated the centrestage. While the show was truly mesmerizing, it was the showstopper, Dia Mirza’s timeless beauty that serenaded the guests at the grand event. Channelising Radha, Dia looked nothing less than ethereal as she walked the ramp, gracefully for master couturier Anju Modi at the India Couture Week 2017. 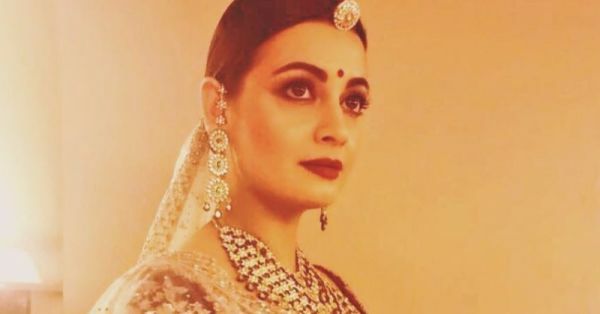 The sound of flute and sarangi filled the air as Dia Mirza walked the ramp dressed in a full-sleeved, embroidered, velvet blouse in maroon, a multicoloured lehenga and a sheer off white dupatta. 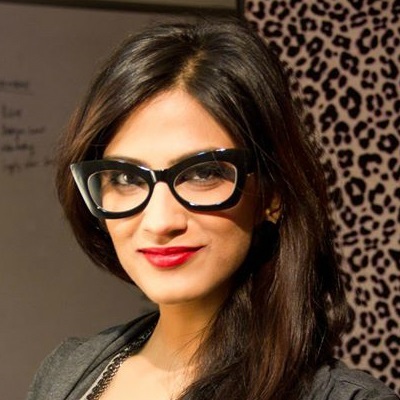 Say hello to the boomerang bride! The designer with her muse. Needless to say, the rest of the collection too was swoon worthy! Okay now, leaving you with this beautiful picture of Dia Mirza in jewellery by Vishal Jewels! So gorgeous, isn’t she? !